Combine modules even if they touch the same code zone, enjoy being able to install more modules! Avoid this error : "Unable to install override: The method XXXX in the class YYY is already overridden. 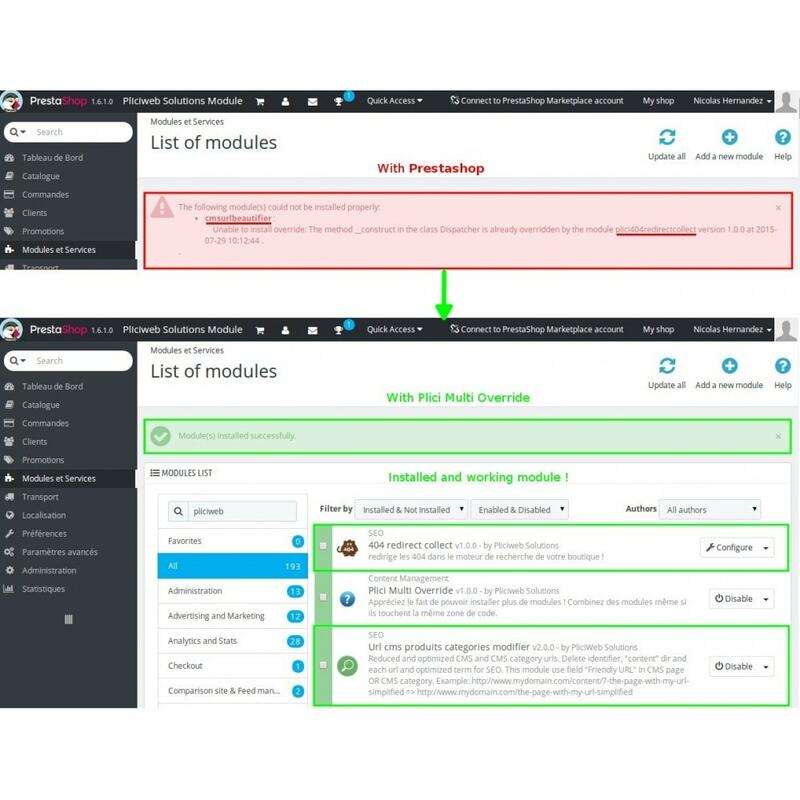 This module allows you having more modules and having more fonctionnalities for your shop and not to be blocked by this error : "Unable to install override: The method XXXX in the class YYY is already overridden". 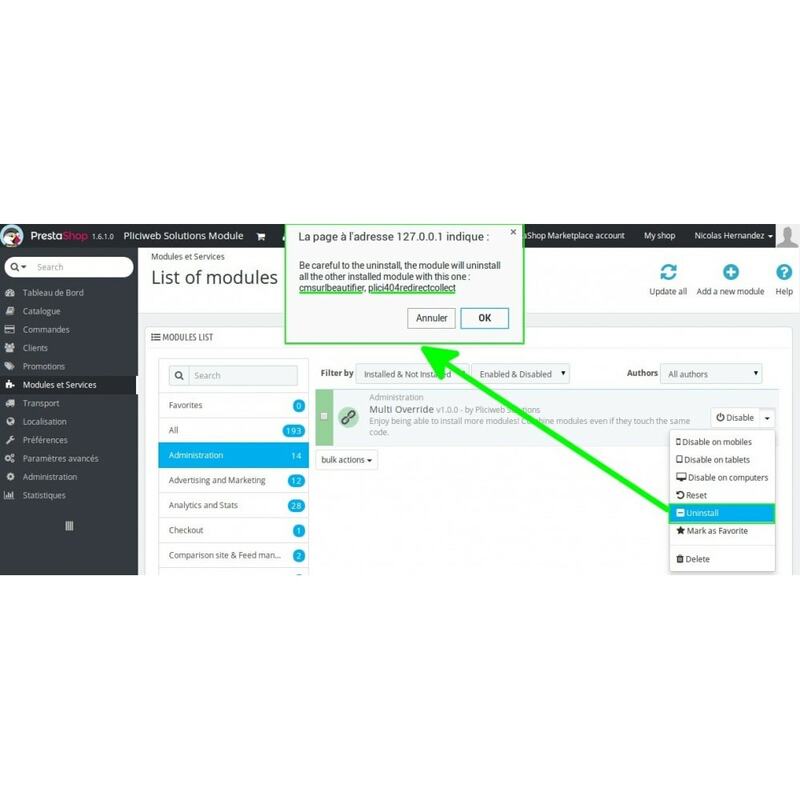 Technical information: Now, modules can share the same override! Enjoy installing and combining many modules. This permits to combine modules even if they touch the same code zone. For example, a module which modifies links and an other who collects them. 2) Also offer a better project management for developers. In /override, there are only developers’ overrides. In /override_multi, there are only modules’ overrides. They don’t have to think about if there file come from modules or if they created it. And the developed code will always be priority on the modules. The override of the modules is saved in the repertory /override_multi and your own override, like before, in /override. Your clients will navigate on a website with more functionalities. 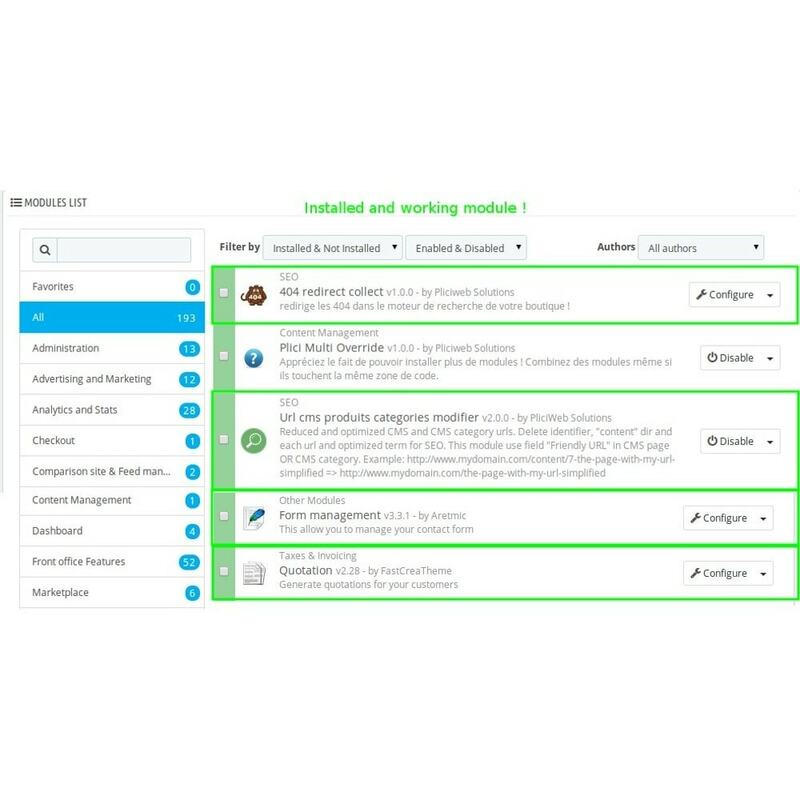 Now, you can install any module for your clients and don't care of the compatibility between them. The last installed module will always be priority on the previous one. It is for that reason that it can be necessary to install a module after an other. In most case, you will not have to think about this. This module doesn't need any configuration and any file modification, it installs himself.